Manhattan Edit Workshop's Blog: EditFest NY 2012 Confirms the Oscar Nominated Editor of Moneyball as a Panelist! EditFest NY 2012 Confirms the Oscar Nominated Editor of Moneyball as a Panelist! 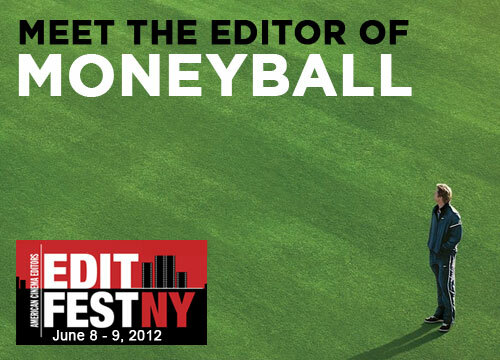 EditFest NY 2012 has confirmed Moneyball editor Christopher Tellefsen, A.C.E. as a panelist for this year's event. Some of Christopher's work includes Capote, Analyze This, The Village, The People vs. Larry Flynt, Fair Game, Kid, and Changing Lanes. Christopher Tellefsen was born in September 1957. In 1979 he attended New York's Cooper Union for the Advancement of Science and Art but as a student of photography and fine arts,becoming interested in experimental film-making after taking classes with Bob Breere. Shortly after graduation he was given a job assisting Ralph Rosenbloom cutting an independent movie and later became apprentice to another renowned editor Thelma Schoonmaker before,in 1990,taking his first job as a cutter in his own right for Whit Stillman's 'Metropolitan.' Since then he has not only achieved success in the field of editing (including an Oscar nod for 2011's 'Moneyball') but has also served as curator of Martin Scorsese's film archive. For more information on this year's event go to www.editfestny.com.